How visible is your child when they are in their costume? Will motorists be able to see them and will you be able to quickly identify them in a crowd? Is the costume obstructing your child’s vision in any way? Does it fit well or does it create a risk for trips and falls? It’s important to ask yourself these questions when helping your child pick out their costume. Costumes that are bright and visible to motorists, flame-retardant, and are short enough to prevent tripping or entanglement can all help your little one have a safe Halloween. In addition to these safety precautions, if your child’s costume comes with accessories, you’ll want to make sure those accessories are all flame-resistant as well. If a sword or cane is a part of your child’s costume, make sure it is not sharp or long, as they may be easily hurt by these if they were to trip and fall. It is also recommended to avoid costumes with masks as they limit or block eyesight. Safer alternatives include non-toxic makeup or decorative hats. Travel in groups and communicate a plan of where you’ll be going. Always use the sidewalk if available. Only go to homes with lights on and never enter a home or car. Cross the street at intersections using crosswalks. After a successful night of trick-or-treating, children return home with bags filled with candy and treats. Although tampering with treats is rare, a responsible adult should go through all treats and dispose of any unwrapped, spoiled, or suspicious treats. It’s also recommended to steer clear of any home-made goodies as you don’t know what ingredients they could contain. If your child has food allergies, be sure to read the ingredients labels of all treats. Often times, fun-sized or miniature versions of candy bars contain different ingredients. If you are passing out treats, it’s also a good idea to have alternative options for children with allergies as candy often contains common allergens such as peanuts, milk, soy, or wheat. Consider using a flashlight or glow stick to illuminate your pumpkin. Small children can easily hurt themselves when handling sharp carving tools. It is best if they participate by drawing the design and having the parents do the carving. Another alternative is decorating the pumpkin with paint and other craft materials. When it comes to illuminating your masterpiece, consider flameless candles or glow sticks for a more fire safe alternative. If you choose to use a candle, a votive candle is the safest — just make sure you never leave your lit Jack O’Lantern unattended. You’ll also want to place your pumpkin on a sturdy surface away from flammable objects. Halloween is a time filled with dressing up, eating treats, and making memories. 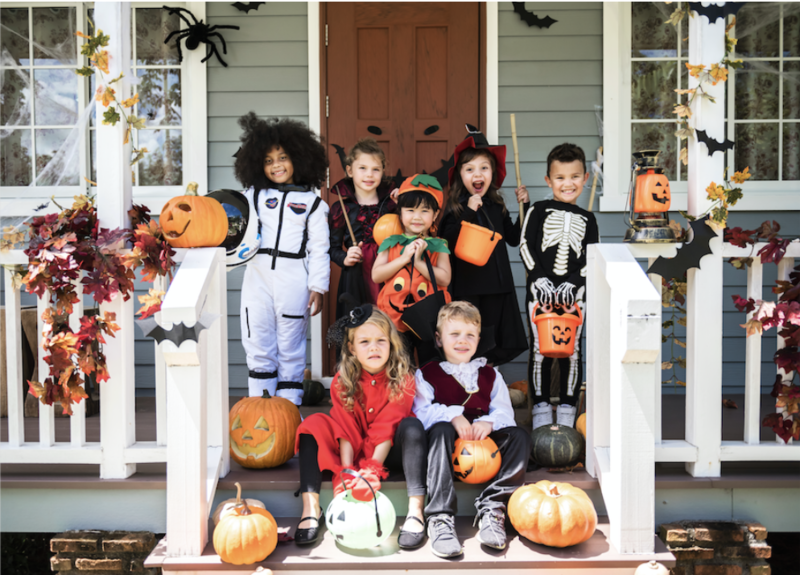 Here at Quincy Mutual Group, we want the holiday to remain that way and hope these tips help you make Halloween memorable for all the right reasons!